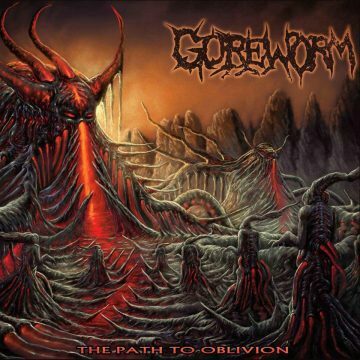 Goreworm was started in early 2017 by founding Members Brent Moerschfelder and Jordan Elgersman, with the intentions of creating a couple of songs just for the fun of writing music. As song development progressed, each song that was written was better than the last, and that’s when it was decided to go all out on an EP. With the EP close to completion, it was decided that this would be more than a studio project – after Sean Bruce (Drums) came on board and Jordan Estrela (Guitar), who had also performed a guest solo on one of our tracks, showed an interest in joining the band. Once the EP was completed, we began looking for a bass player and found Derek Gibbs, who blew us away with his skills. Upon releasing our first single, we were lucky enough to be contacted by CDN Records and after a few talks, we landed a record deal. Entering 2018, we look forward to releasing our EP and playing shows in support while we continue to write songs for our next release. Brutal Canadian Death Metal. Out now! Order here.